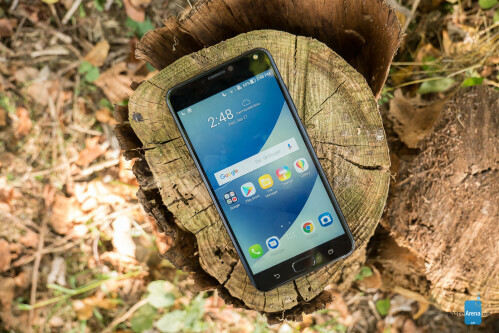 Another member of Asus’ Zenfone 4 line-up has just arrived at our doorstep – the Zenfone 4 Max. 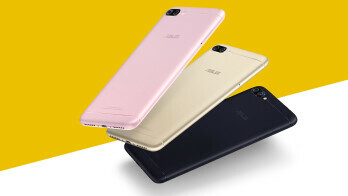 As Asus seems to do every year, it is offering a series of phones, from mid-range to high-end, which all have a specific strength or two. 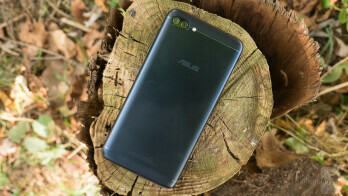 The Zenfone 4 Max not only “maxes” out the battery, with a 5000mAh cell, but also focuses on providing a camera with solid capability and range. The dual-camera setup features a standard, 13MP main camera paired with a 120-degree-wide, 5MP secondary shooter. All of this comes with a competitive price tag – $199.99 to be exact. 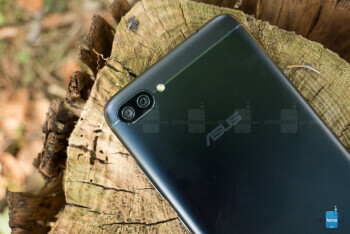 So, does Asus deliver on its promised dedication to photography and mid-range value? Solid, plain, functional, in a variety of colors. 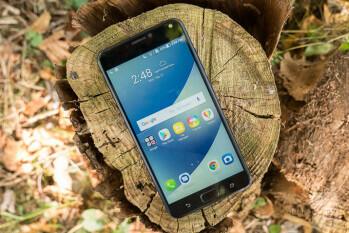 The Asus Zenfone 4 Max won’t be the most beautiful _phone_ you see in 2017, but considering its direct competition, it’s not a bad-looking _phone_ either. 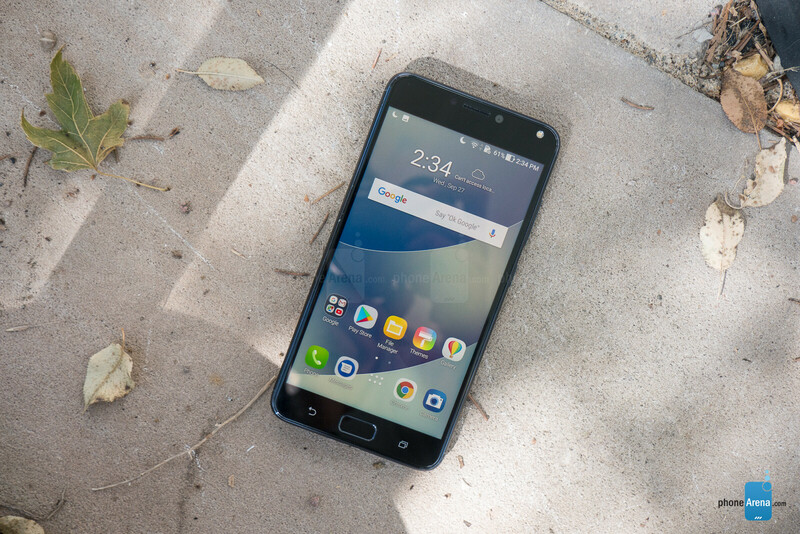 The face of the phone is all black (or white, depending on the color you get) with little to remark on other than a fingerprint scanner, non-backlit, haptic navigation keys, and a front-facing camera with flash. Turning the device around, you’ll be pleased to find a full metal casing. Our unit was a deep navy blue, curiously (or perhaps, aptly) named Deepsea Black. The screen raises slightly from the rest of the frame, and is surrounded by a thin bevel of polished, slightly-lighter-blue plastic. Unfortunately, this is a fairly soft plastic, which will be the first thing to chip from even small drops, but we'd rather have this take damage than the screen itself. The same light-blue accent is also used to create two thin horizontal cuts in the aluminum body – one near the top, and one near the bottom – which break up the monotony of the phone's backing. The dual cameras protrude slightly, but we’re not especially worried about it. All the buttons are very clicky and firm, and the phone has an overall solid, comfortable feel in the hand. Thankfully, the 5000mAh battery doesn’t weigh it down much. 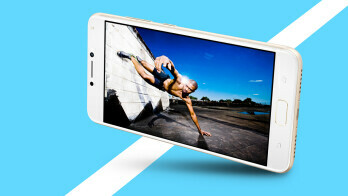 When will manufacturers stop stretching 720p on phablet-sized screens? Equipped with a 5.5-inch IPS display, the Zenfone 4 Max has a 720p (720 x 1280) resolution, which spreads pixels pretty thin. The 267 ppi can be easily seen blurring smaller text and images, making reading on this phone one of our least favorite things to do. Looking at full-screen pictures or videos will be generally pleasing, though. Colors appear mostly accurate, albeit somewhat pale. You won’t notice this too much while engrossed in 720p video or checking the pictures you’ve snapped, though. 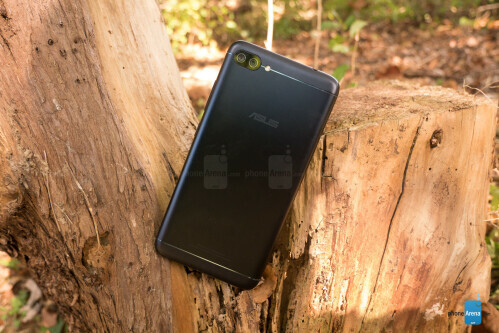 The Asus Zenfone 4 Max won’t be the most beautiful phone you see in 2017, but considering its direct competition, it’s not a bad-looking phone either. 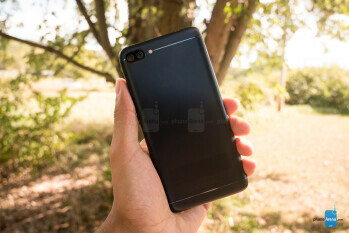 The face of the phone is all black (or white, depending on the color you get) with little to remark on other than a fingerprint scanner, non-backlit, haptic navigation keys, and a front-facing camera with flash. Turning the device around, you’ll be pleased to find a full metal casing. Our unit was a deep navy blue, curiously (or perhaps, aptly) named Deepsea Black. The screen raises slightly from the rest of the frame, and is surrounded by a thin bevel of polished, slightly-lighter-blue plastic. Unfortunately, this is a fairly soft plastic, which will be the first thing to chip from even small drops, but we'd rather have this take damage than the screen itself. The same light-blue accent is also used to create two thin horizontal cuts in the aluminum body – one near the top, and one near the bottom – which break up the monotony of the phone's backing. The dual cameras protrude slightly, but we’re not especially worried about it. All the buttons are very clicky and firm, and the phone has an overall solid, comfortable feel in the hand. Thankfully, the 5000mAh battery doesn’t weigh it down much. Even in the mid-range, Asus knows how to make a fast phone. ZenUI, and its multitude of options and customizations, are in full effect here. This time around, we find things slightly more cleaned up aesthetically. For instance, the UI customization dock, accessed by swiping up on the homescreen, is no longer a series of multi-colored circular icons, but rather a uniform, transparent icon set, which lends itself to a much cleaner, organized appearance. Still, the UI is in need of a more capable search function for its many settings, but other than this we can’t complain, since the performance is so smooth. Once again, Asus proves its competence in fast, smooth-operating hardware – even in the mid-range. Under the hood you’ll find a Qualcomm Snapdragon 425 or 430, with either two, three, or four gigs of RAM. Our unit was equipped with 3 GB RAM and an SD430. Truthfully, we couldn’t ask for or need more – given the price of the phone, of course. Multi-tasking was very smooth and responsive; we rarely encountered any pauses even while dual-screening and swapping between large apps like an active Google Maps navigation, YouTube while streaming a 720p video, and general web surfing. Very impressive stuff. Gaming may not be the best experience you’ll find in mobile computing – the GPU lets us down here – but it’s very doable. Asus keeps the UI light and nimble, allowing the internals to hum along unencumbered, which leaves the user always grinning, and never waiting. Dual SIM and the capability to charge other devices add to its versatility. As seems to be the expectation with affordably priced devices (for now, at least) Micro-USB is the charging method of choice, and fingerprint scanning the biometric security employed. The fingerprint scanner is every bit as fast as those on most any flagship we’ve tested, and functions as the home key as well. The Max’s Micro-USB port also has a trick of its own as it can charge your other devices from the large, 5000mAh battery via the included Micro USB to USB-A, male-to-female adapter. 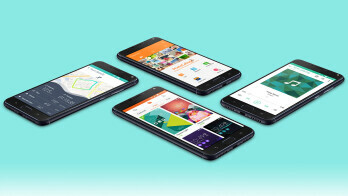 Bluetooth 4.1 is on board, as well as a dual SIM card plus MicroSD card slot (you can use all slots at the same time), capable of using up to 256GB of supplemental storage. Nice perks to have for this unlocked, 32 GB device. 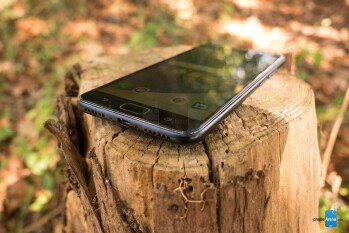 Sub-200-dollar dual cameras that don’t disappoint, but a tale of two cameras is evident. 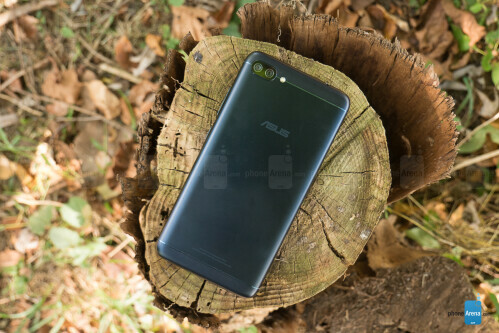 Given the price point, the Asus ZenFone 4 Max is more than adequately equipped on the camera front. 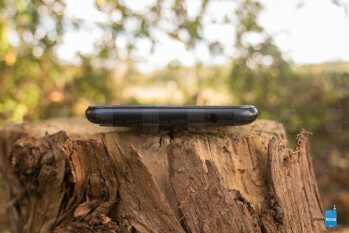 At the back we have a dual-camera setup comprised of a 13MP main camera and a secondary wide-angle shooter with a 120-degree field of view and 5MP of resolution. At the front is an 8MP selfie camera with flash. Image quality is far from flawless, but for the most part, our photos turned out better than we expected. Given the right conditions, the main camera can take some pleasant-looking shots, with sufficient detail and fairly accurate colors. Surprisingly, even most of our low-light shots came out looking fine and dandy. But as we implied, the camera is not without its issues. It suffers from poor dynamics range, focusing could be problematic, and purple fringing is evident. Still, given the cost of the Asus ZenFone 4 Max, we can't really complain. Taking HDR photos, though a slower process, tends to yield much better results, though the mode is only useful for static scenes, as blur may occur with moving objects. The wide-angle camera, on the other hand, steps down quite noticeably in quality. Due to its lower resolution and the nature of its optics, the amount of detail it captures is much lower. It isn't great for use in low light either. But you do get a wider field of view in exchange, which could be useful for photographing large monuments, for example, or when shooting in tight spots. Video shot on the Max tops out at a resolution of 1080p. While it looks okay for the most part, it suffers from jittery autofocus. The absence of optical stabilization does the video quality no favors. Calls on the Max come through clear and without issue for both the caller and receiver, though the earpiece and speakerphone could both use a few more notches of volume. Callers aren’t hard to hear on either, but peak volume is simply a few steps lower than we’d like. Power for days, er, devices. Well, both. 5000mAh deliver some due gains here – not as much as we’d hoped, but enough for the Zenfone 4 Max to outpace most rivals. 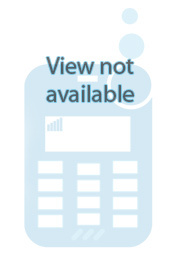 With normal use, this phone can usually last you into the two-day mark. However, our custom test showed this hunk of lithium-ion to last for over 11 hours, which we were a little underwhelmed by. 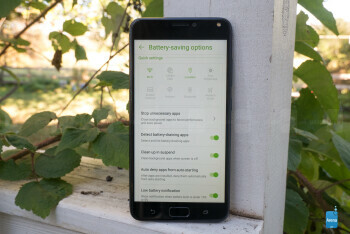 It’s certainly a long time, but we’ve had other devices like the AT&T Galaxy J7 Pop last over 12 hours with a 3300mAh battery, so it would seem Asus is still struggling with efficiency a bit. The Zenfone 4 Max has the ability to spread some juice to your other devices, effectively functioning as a small powerbank (though this of course impacts battery life greatly). Plugging in the included USB OTG (On The Go) Cable will prompt you with an option to charge your devices with standard or rapid speed, though “rapid” is a relative term here. Our 3300mAh LG V30 estimated that a full charge would take over 6.5 hours in standard mode, and around 3 in rapid. A likely use for this feature would be to give a friend's phone a boost in case of emergency or to power up an accessory like a pair of headphones while on the go. Charging the Max itself takes over 3 hours, which is relatively slow, but understandable given the size of its cell.